The Custard TV: EastEnders starts 2015 with a bang! EastEnders starts 2015 with a bang! 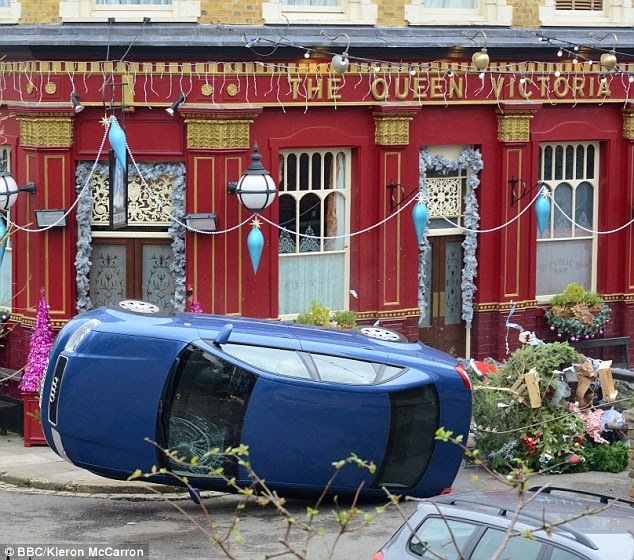 Eastenders at New Year always deliver big episodes that stay long in the memory (Pat's death, Ronnie murdering Carl, the baby swap storyline) and this year was no different as a wedding, a car crash, a birth and a death helped get the anniversary year off to an explosive start. It had been publicised before the episodes that a Walford resident would meet their maker and with a big car stunt taking place it seemed obvious what was going to happen... However under Dominic Treadwell Collins (Eastenders' executive producer) we have learnt to expect the unexpected and this was no exception as Roxy, Ronnie and Charlie all escaped alive from the car crash. However a very pregnant Ronnie nearly didn't make it out of the car and was rushed to hospital unconscious which left viewers wondering if we'd seen the end of one of their best known characters on New Year’s Day. The car crash wasn't accidental of course but the work of Nick Cotton, who had cut the breaks of Phil's car with the intention of scaring Ronnie (who had tried to pay him off with some of Phil's money in the hope he would leave Walford) but very nearly killed his son and grandson in the process. The episodes ended with Phil Mitchell being arrested for the car crash and it doesn't look good for his defence: whilst he knows that it was likely Nick that cut the breaks, in the eyes of the law (and everyone else) Nick is officially dead and there is also the small matter of Phil very publicly announcing to guests at Ronnie and Charlie's wedding that she will pay for stealing his money. Expect to see Ritchie, Phil's long suffering lawyer, make an appearance in this week's episodes. The only other likely candidate ready to meet their death was Emma Summerhayes, who moments before being knocked down by Roxy's driving believed she had solved the identity of Lucy's murderer. Given that the Lucy reveal is another six weeks away it was always inevitable that Emma would somehow find herself incapacitated or dead before the anniversary week, but it was nail biting as the episode switched between a comatose Ronnie and a disorientated Emma. As Ronnie's baby boy was delivered safely it was revealed that she was only being kept alive by a machine and it really did seem that we were going to lose one of the show's most popular characters. The hospital scenes were genuinely edge of your seat TV and some of the most dramatic scenes the soap has aired in recent times, a brilliant script and direction contributed to one of the show's best episodes of the past few years. Rita Simons, Steve McFadden and Declan Bennett (Roxy, Phil and Charlie) were incredible and also deserve special mention, it was impossible not to feel some emotion during those scenes when they thought they had lost Ronnie. Ultimately, it was Emma that was sacrificed to the soap gods as her knock to the head resulted in bleeding to the brain and sudden unconsciousness on the Square which signified that her time in Walford was at an end. 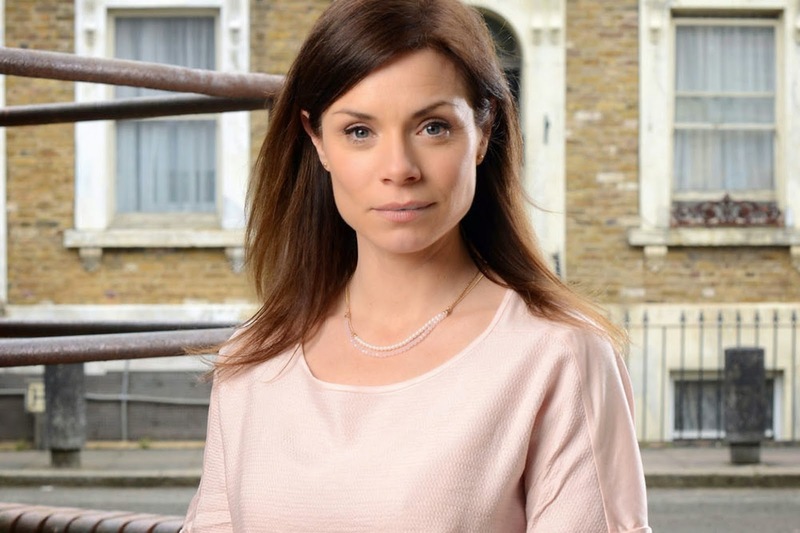 Her death means that Lucy's killer can breathe a sigh of relief for now but she narrowed down the suspect list and mysteriously told Max "It wasn't there... You know," leading viewers to ponder exactly what she was referring to and what Max Branning knows about the death of Lucy Beale. Eastenders confirmed this week that a special flashback episode will air during the anniversary week which will show Lucy's final movements before her death, an exciting move which will hopefully unite all the intricate storylines that the team have been carefully weaving together for the past year. The show is on fire at the moment and the brilliant New Year episodes are hopefully a taste of what is to come in the programme’s 30th anniversary year.